For every force acting on a body there is an equal and opposite reaction. 1600 years before any flying machine could ever fly and before Newton announced the third mechanical law, Hero of Alexandria invented the Aeolipile. 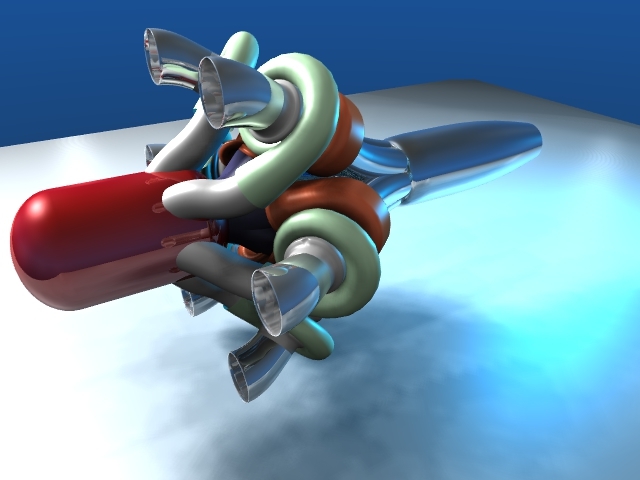 Nothing serious, just a toy, but the modern jet engine use- it was the same physics principle! In Greek, the word Aeolipile means “Wind Ball”. How does this stuff work? A closed vessel filled with water is heating. After a few minutes, steam is produced and passes through two vertical outlets into the ball. 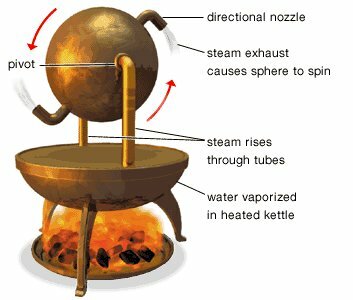 Steam began to escape from the directional nozzle and the ball can rotate. Do you fancy making one? What would the ball do? At EOSJPL We will be working on many different concepts of Jet Engines for different purposes and not exclusively for Aeronautics. Look at the following design. Fuel Efficient, Heat Efficient and Low Security risk! This Jet Engine is designed for a special purpose! Can you figure it out ?